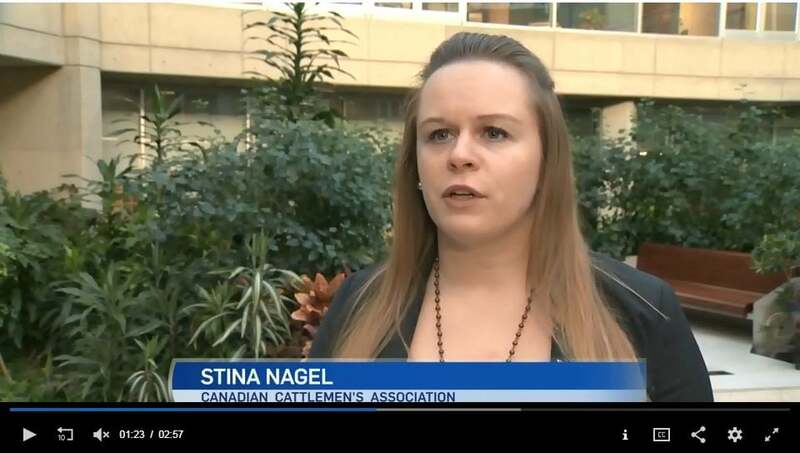 Stina Nagel from the check-off funded Public and Stakeholder Engagement (PSE) team, had a chance to speak with CTV news on December 6, 2018, regarding Canada’s Food Price Report, predicting an increase in grocery costs for Canadians, but a decrease in meat price and consumption. PSE works together with other industry groups across the country to ensure a positive and consistent message goes out to consumers when addressing issues that face the beef industry. Both Canada Beef and CanFax are working together with PSE to respond to ongoing media requests regarding the recent food price report. Click the video below to watch the CTV news segment.